SkySwitch, the white-label unified communications as a service (UCaaS) platform for resellers, has integrated Amazon Echo and Amazon Alexa to voice-enable dialing. The integration – which is available to all SkySwitch resellers at no charge – means that SkySwitch UCaaS users with an Amazon Echo can now ask Alexa to initiate phone calls using voice commands. 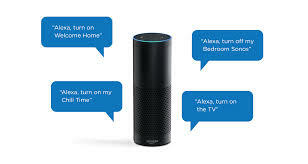 These can include things like, “Alexa ask PBX to call George,” “Alexa ask PBX to call 1,000,” or “Alexa ask PBX to call 17477778100.” Call recipients can be specified by first or last name if they are included in the caller’s contact list, and calls can be made to any extension number within the caller’s office or to any telephone number. Alexa can also be used to listen to voicemails by calling the user’s mailbox. The SkySwitch Web Centrex PBX Skill is now listed in the Amazon Alexa Skills Department, and can be found by searching for its invocation name, PBX. The skill can then be enabled and activated for free by linking it with any PBX user’s portal credentials, as seen in this video. SkySwitch also plans to enhance the Alexa Skill with support for additional UCaaS functions, such as sending SMS messages, convening conference calls, setting call forwarding rules, and more.